A growing collection of work reflecting the evolution of the artist. 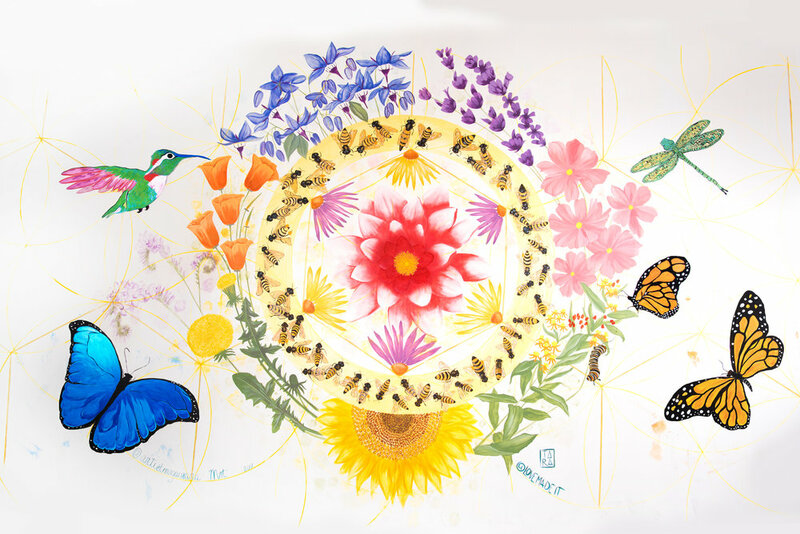 Enhancing public spaces with colorful, pollination nature inspiration. Ongoing creative project exploration ranging in size, scale, and material. All handmade. No computer. Because sending and receiving snail mail is the best! 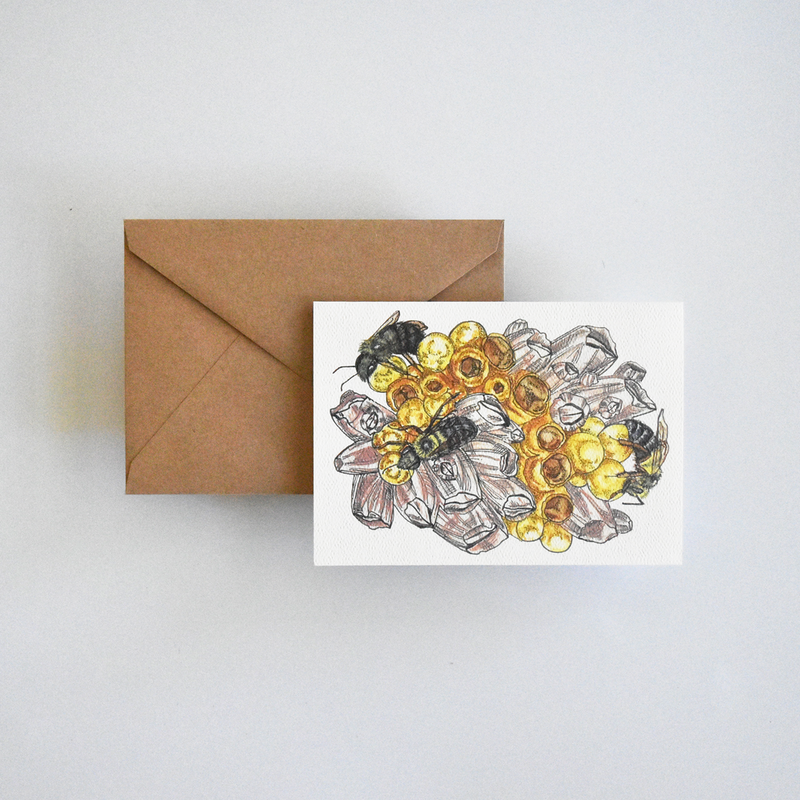 Pollinator prints - Pollination is one of the most romantic stories to illustrate! Its a beautiful dance between two living creatures that symbiotically rely on each other for survival. 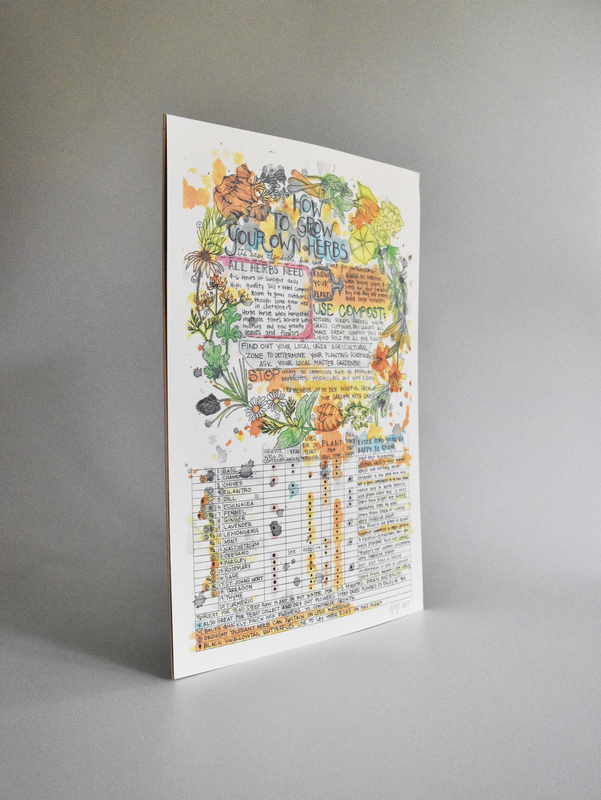 How to prints - Educational, affordable art created to inspire action. Each poster comes from Megan's personal experience of owning a garden and the love of learning about our beautiful planet. 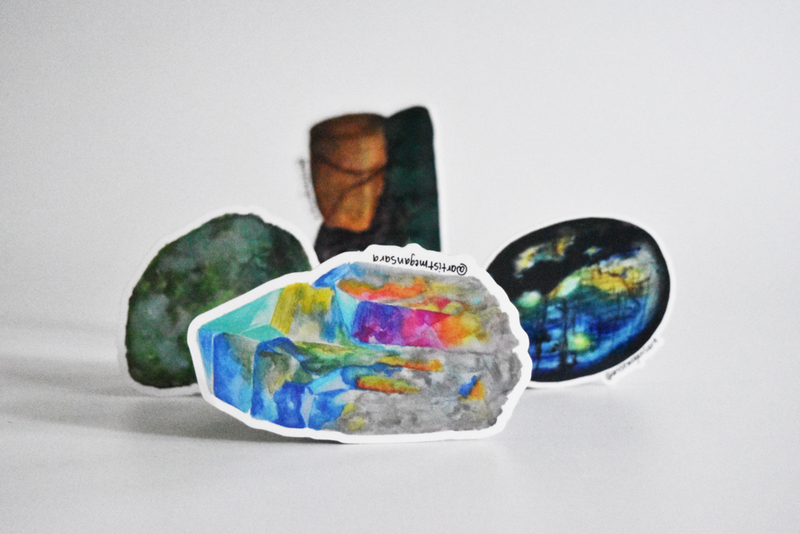 Watercolor illustrations from Megan's gem and mineral collection.